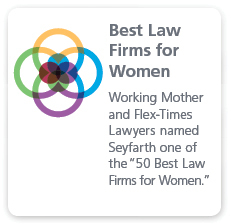 Seyfarth’s cross-disciplinary Global Privacy & Security (GPS) Team has extensive experience litigating privacy-related matters. Whether involving violations of the Health Insurance Portability and Accountability Act (HIPAA), exposure of confidential information in the employee hiring process, regulatory investigations, violations of the Fair and Accurate Credit Transactions Act (FACTA) or consumer class action defense, we defend our clients in actions brought by regulators and civil plaintiffs. 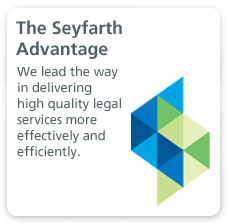 Drawing from one of the country’s best-known and respected labor and employment practices, Seyfarth’s cross-practice GPS Team has a breadth and depth of experience we can bring to bear to skillfully and efficiently assist our clients when privacy and data security issues arise in the workplace. We regularly defend employers and background screening vendors in class action and single plaintiff cases dealing with compliance issues under the Fair Credit Reporting Act (FCRA) and other statutes that govern obtaining accurate information about prospective and current employees. We also counsel clients on HR best practices and policies for maintaining confidentiality throughout the employee selection process. We also have a wealth of experience in litigation involving social media privacy issues, such as obtaining information regarding anonymous/pseudonymous parties from Internet service providers, as well as building cases involving defamation, misappropriation, disparagement, and “spoofing” on websites, and litigating issues arising from computer and email hacking. We regularly prosecute and defend claims brought under the Computer Fraud and Abuse Act, and we work with in-house IT departments and forensic examiners to bring claims when employees or competitors improperly access, copy, download, or destroy a company’s proprietary information. Our integrated team handles the class action litigation and regulatory investigations that frequently result when a company is accused of having violated the applicable laws protecting the privacy of consumer information. We regularly litigate consumer class actions on behalf of corporate defendants in federal and state courts, including class actions brought under the Consumer Legal Remedies Act, the Song-Beverly Credit Card Act, and the Children's Internet Protection Act (CIPA), as well as Computer Fraud and Abuse Act (CFAA) and Telephone Consumer Protection Act (TCPA) claims. For employers, we also have defended many dozen class actions brought by applicants under the Fair Credit Reporting Act, challenging processes related to background screening privacy issues. In these consumer and employment class actions, we have represented Fortune 500 companies and other businesses with a national presence, including supermarket chains, retail chains, Internet service providers, insurance companies, and manufacturers. Our clients also frequently call upon us to review and revise company policies and procedures to minimize litigation risks. Clients rely on our eDiscovery attorneys for counsel on information governance issues related to data security, privacy and records management. 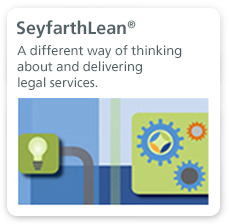 We bring experience and talent to craft practical and defensible approaches to meet discovery obligations in litigation and to comply with statutory and regulatory schemes while managing the costs and the realities of operating a business in today’s economy. Likewise, we help companies shape data preservation, document retention and information technology usage policies, including privacy and information security plans. In addition, we provide customized training, coordinate computer forensic investigations and managed technology experts, vendor relationships and costs. Apart from being skilled litigators, our eDiscovery and Information Governance attorneys leverage extensive backgrounds and training in information technology systems, computer science, digital forensics and investigations and data management, security and privacy. We help clients identify, protect, commercialize and enforce intellectual property rights, and attorneys on our GPS Team have litigated numerous intellectual property cases relating to the technology behind data security, including encryption, passwords and hash values. We handle copyright, trademark, privacy and new media issues, including advertising, promotion, sweepstakes, marketing, computer software, data use, Internet, employee privacy, cybercrime and entertainment matters. Our attorneys frequently act as lead and local counsel in copyright, trademark, counterfeiting and grey market/diversion, false advertising, unfair competition, computer fraud and abuse, and Internet-related litigation.